The Butterflyway Project is an ongoing project launched by the David Suzuki Foundation and led by citizen volunteers in the interest of increasing habitat for butterflies and other urban pollinators. 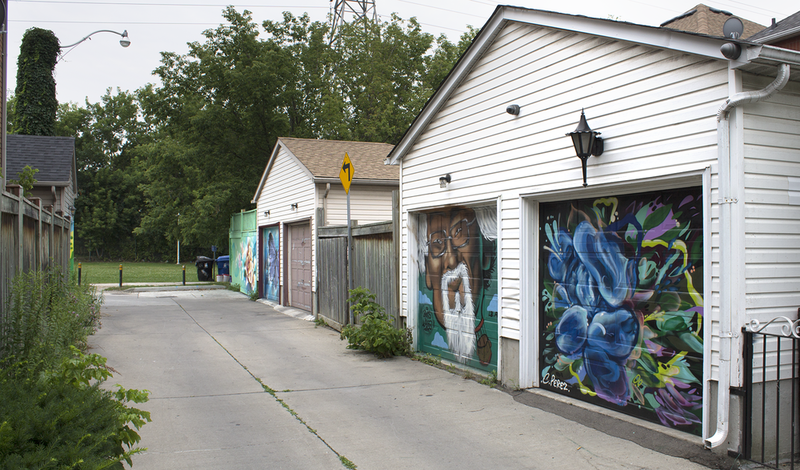 As part of this initiative, I was approached by DSF to develop a mural or public art component that would accompany one of the plantings in Toronto. 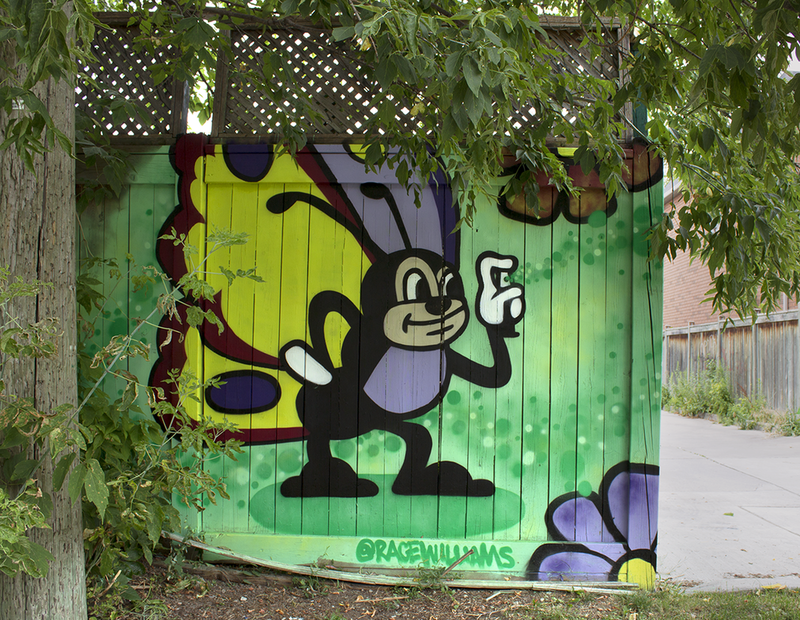 In partnership with Street Art Toronto, who funded all the paint and artist fees, I secured the permissions for most of the properties along Garrison Creek Park and curated a group of artists to help transform the laneway through murals dedicated to butterflies. The image above shows one wall at the Western entrance to the park, painted by Oriah Scott, Sight and myself. 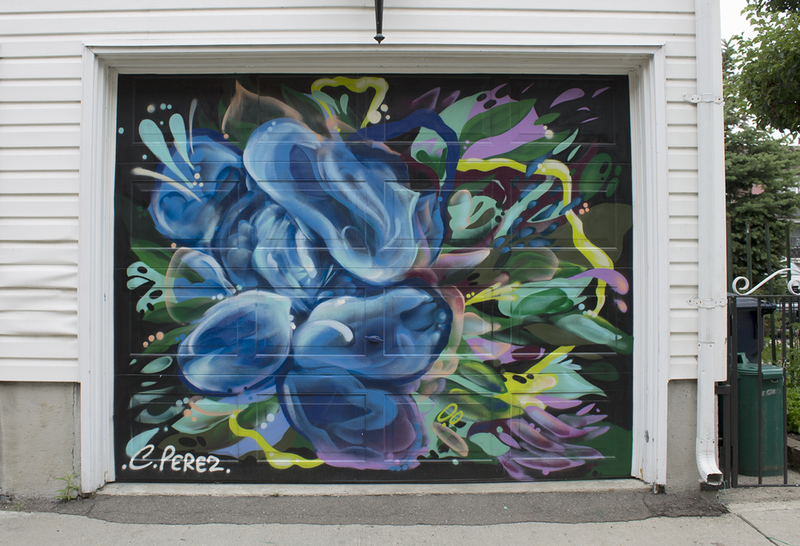 The first image below shows the garage door I painted - click through to see the rest of the laneway (artist names are given in the bottom left corner).